Suartur is a Tour Operating specializing in incoming tours to Indonesia. We were established on 1 January 1981. 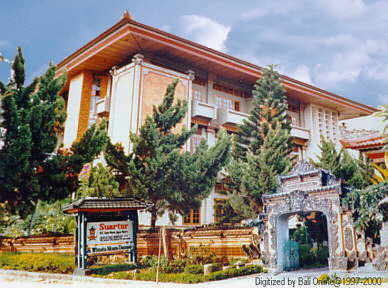 Suartur head office is in Bali with representatives are in Medan, Jakarta. Jogjakarta, Surabaya, Balikpapan, Ujungpandang, Mataram, Bima, Waikabubak, Kupang, Flores and Jayapura in West Irian. Our clients are mostly from Europe, Asia Pacific and America. (Italians, Dutch, Germans, Swiss, some Belgians, Spaniards, English, Americans, Brazilians, Australians, Japanese, Hongkong, Malaysians and Singaporese.) We have guides who speak the languages of these countries. 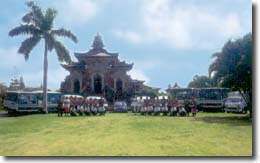 Suartur is affiliated with the following companies: WISATA NUSA DAMAI TRANSPORT LTD.: Equipped with 10 buses + 15 minibuses. HOTEL BALI TROPIK, All Inclusive.
. Nusa Tenggara . Kalimantan .